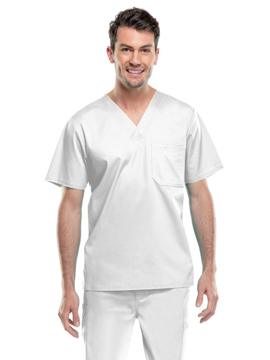 This men's v-neck top features a double chest pocket with I.D. 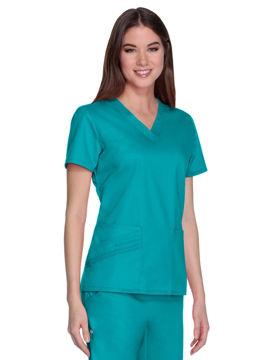 loop, back yoke, side vents and double needle topstitching. Center back length: 28½". 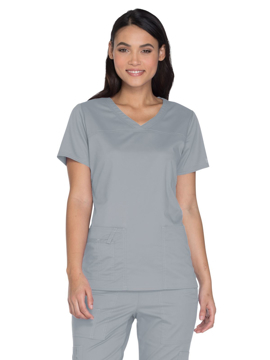 This asymmetrical v-neck top features multiple pin-tucks, tonal snaps and zig zag stitching. 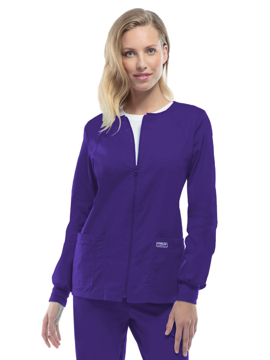 Release darts at back waist, front curved patch pockets, and side vents complete the picture. Center back length: 26". 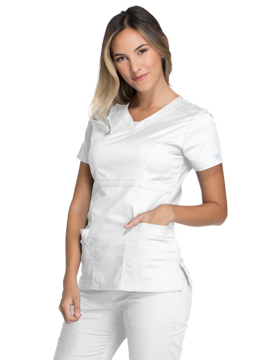 This mock wrap top features tonal zig zag stitching on the left neckband, front darts, empire waistband, two patch pockets, and an additional angled pocket with pin-tucks and tonal zig zag stitching. Elastic at back waist casing and side vents complete this picture. Center back length: 26". 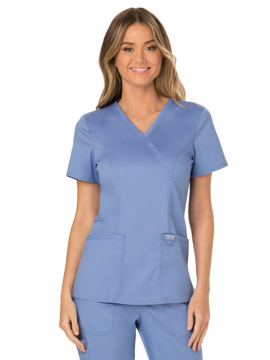 This v-neck top features tonal zig zag stitching on the left neckband, two patch pockets, and an additional angled pocket with pin-tucks and tonal zig zag stitching. Back darts and side vents complete this picture. Center back length: 26". 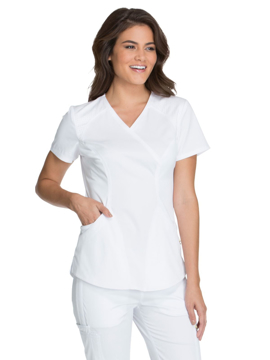 This v-neck top features two front patch pockets, interior pocket with logo charm, mesh neckband and back panels, mesh-lined perforated yokes, and side vents. Center back length: 26½". 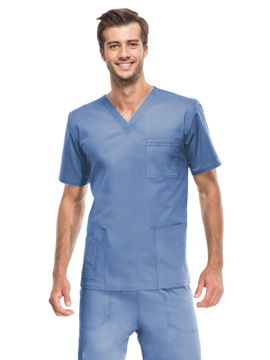 This men's v-neck top features double chest pocket with pencil stitch, back yoke, double needle topstitching and side vents. Center back length: 29". 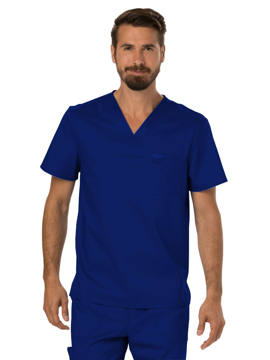 This core unisex mid-rise pant features a functional drawstring and elastic incased around the full waistband, four large pockets, two front pockets, one cargo, and one back pocket. Leg opening: 15½". 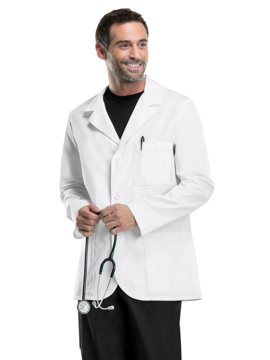 Regular inseam: 31". Short inseam: 28½". Tall inseam: 34".